The artwork for ‘Chaos Control’ is here! 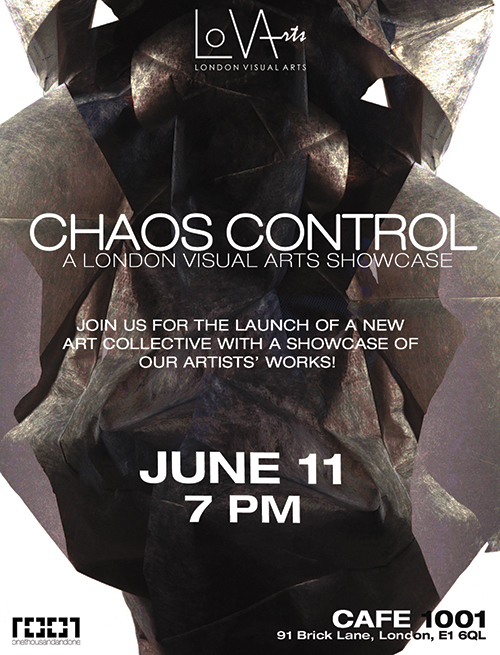 We are delighted to present the artwork for our first exhibition ‘Chaos Control’. We will release more information about it in the next few days but for now, here is the poster designed by the lovely Inga Gottfrau. This entry was posted in Chaos Control, Chaos Control Showcase and tagged chaos control, design, exhibition, LoVArts, poster. Bookmark the permalink.